No make-up on. I look weird? 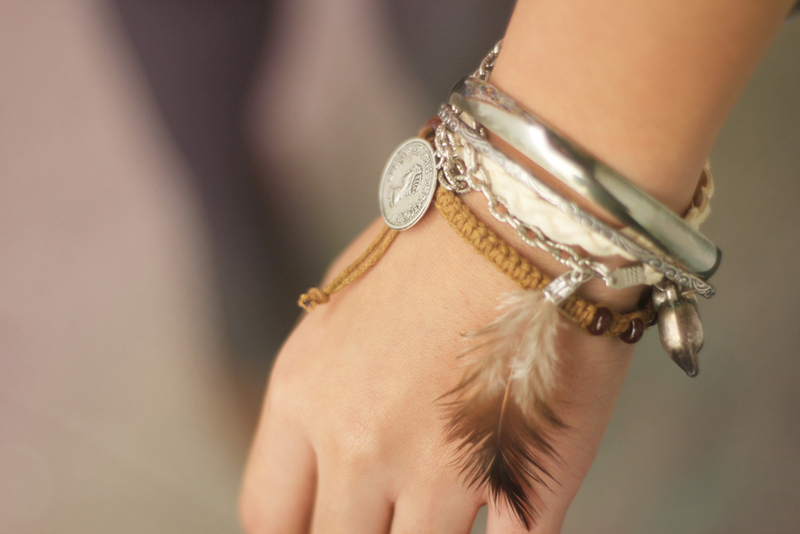 The brown bracelet was a gift from my bestfriend, Gimi. He went to Guam and got me this. He's very thoughtful! 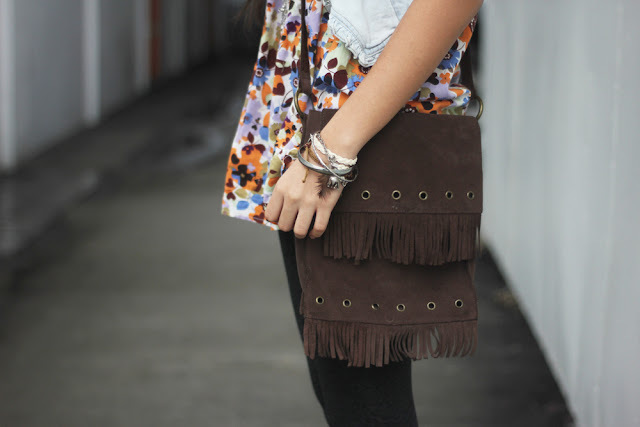 Floral tunic top, Topshop. Partterned tights, F21. Bracelet, DIY. Lately , I've been obsessing with anything Indian-ish. Yesterday was strangley colder than the previous day so I took the opportunity and wore tights for what was supposed to be a normal day. And by normal, I'm talking about a no-picture-taking or any of that sort kinda day. But i got carried away looking at the photos on my "Indian Luvin'" album so i brought my cam with me and decided to take a few shots. wow! i have the same tunic!!!! bought at topshop! :) love your style! Love this outfit ! You look great without makeup and your hair are amazing ! I love the dress and bag! I love that bag, and the bracelet is gorgeous! Girl, you are the Rumi Neely of the Philippines. Love your accessories! I'm totally an accessories kinda girl, too! you are so beautiful. loving your blog and all your outfit posts!